This is a real crowd pleaser. 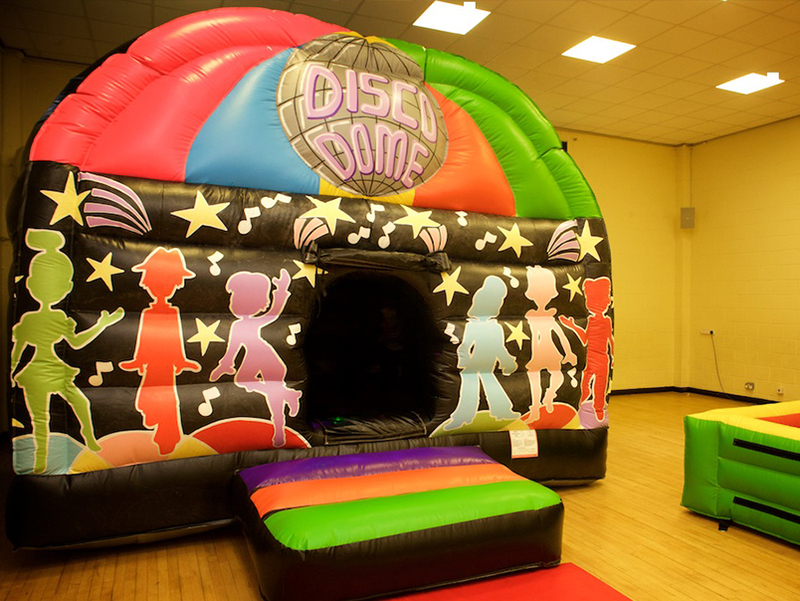 This is the ultimate inflatable combo with the fun of a bouncy castle and the coolness of an integrated disco music and lighting system. No matter what age you are you?re guaranteed to enjoy this. All you need to do is connect your Bluetooth, USB, MP3 or SD card enabled device loaded with the music of your choice and you?re ready to go. Mix that with the integrated disco lighting, and the party really comes alive.